It’s a Grab Bag Monday! You never know what’s going show up here. 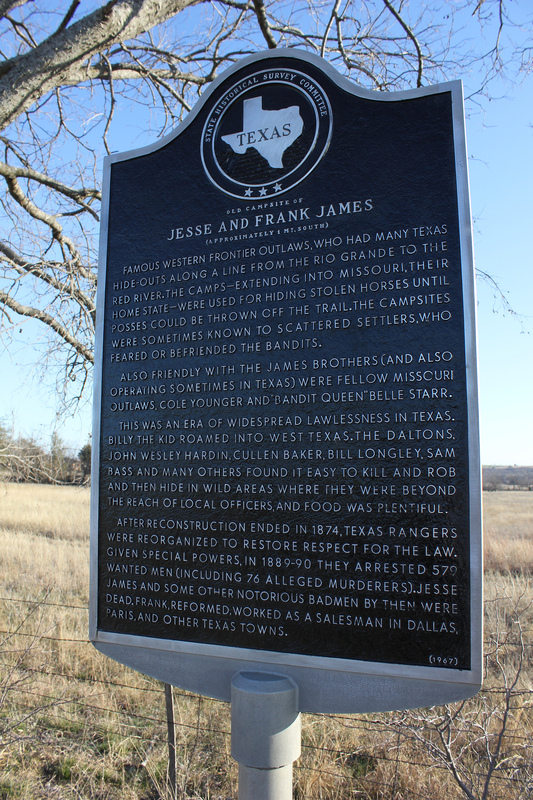 You’ve seen them before: those roadside historical markers that pop up at random places along the highway. It’s easy to keep the cruise control in gear and coast by, not giving the unassuming sign a second thought. Maybe the better question is, why not? Years ago my husband and I sailed north on Highway 83 in Texas. We were en route to the Oklahoma panhandle for a dear grandparent’s funeral. It was a long, emotional trip. We needed a break. We spotted a large iron bridge that spanned the Red River near Wellington. It broke up the horizon, and a “Historical Marker Ahead” sign teased us off of the road. The gravel shoulder crunched under our tires as we eased to a stop. On June 10, 1933, Mr. and Mrs. Sam Pritchard and family saw from their home on the bluff (west) the plunge of an auto into the Red River. Rescuing the victims, unrecognized as Bonnie Parker and Clyde and Buck Barrow, they sent for help. Upon their arrival, the local sheriff and police chief were disarmed by Bonnie Parker. Buck Barrow shot Pritchard’s daughter while crippling the family car to halt pursuit. Kidnapping the officers, the gangsters fled. Bonnie and Clyde were fated to meet death in 1934. In this quiet region, the escapade is now legend. Holy moly. What a surprise! If that didn’t make us glad we stopped, I don’t know what would. My eyes were as big as a getaway car’s tires as I gazed over the bridge and followed the bank that sank into the riverbed. I could imagine it all happening. Isn’t it amazing the things that pop up around you that you’d never guess? One moment you’re trudging along an endless highway, the next you’re seeing the scenery in a while new light. Taking a minute, taking a chance lets ordinary surroundings whisper their amazing secrets. I’m so glad we stopped. What about you? When/where have you been pleasantly surprised by a chance encounter or unplanned stop? Hypothetically, what would a historical marker in the future say (funny or serious) about where you live? The trail led us up rocky switchbacks and through mountainside meadows. The morning breeze brought a welcome chill. Petite wildflowers, yellow and sometimes purple, decorated the way. It was hard to tell that wildfire had violated this high desert oasis just over a year ago. Hard, except for a handful of trail-side scenes we stumbled upon. One rested ten feet from the trail, tucked behind a gnarled mesquite tree on top of the hill. It hid itself in the tall grass. Easy to miss. A circle of wildflowers hugged the patch occupied by a lump of charred wood – a small victim among the thousands of acres the fires ravaged. It lay there black and dead and quiet. The flowers held vigil with dainty, stubborn dignity. Life was their testimony; beauty rebuked the haphazard destruction. Wordless tribute sprung from the nourishment the wood sacrificed, defying the past to all who cared to pass by and take note. Let’s talk: When, lately, have you noticed a small miracle? Was it easy to spot or easy to miss?